Your preschooler may resist playing a table game at first. It is best to wait until they are ready. Some of the following games get boring quickly, so be prepared by having more than one game for your very young child, so that you can provide a new game when their interest wanes. A classic game that is the first played by many very young children, this game does not require little ones to read. Your preschooler learns colors and how to match them. Additionally, it teaches beginning counting skills. Players choose a card and move to the next space with the matching colors. This game gets boring very quickly, but is a great first table game for very young children. 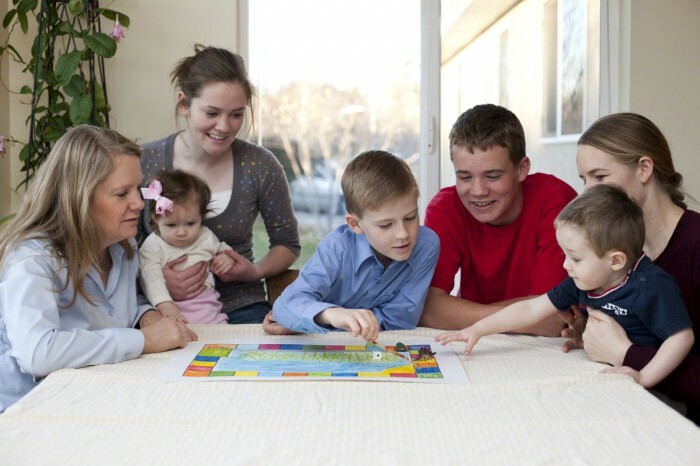 Memory games are easy to adapt for the age and attention span of your child. You can reduce the number of pairs of cards requiring for matching for younger children. Additionally, some games use letters and numbers, an excellent reinforcement for children learning number and letter recognition. Games also come with themes, for example, Disney princesses, animals, or foods. Just be careful as kids get really good at this and often beat their parents. 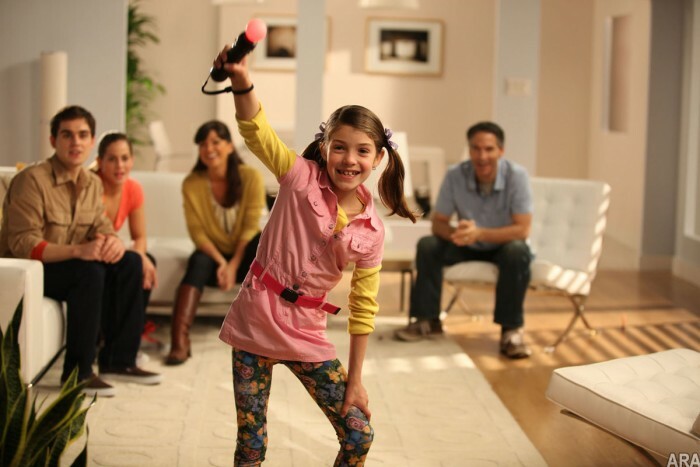 This makes it a good choice for a family fun night as you can alternate Memory with a game that is more of a challenge. Part of the Cranium game family, Cranium Hullabloo is intended for children ages 4 and up. However, some four year olds may not be ready for this game; try pairing them with older children. Players bounce, spin, and jump between colorful pads, listening closely for the next directions from a talking console. Game choice is dependent upon not only the age, but also the mental and emotional maturity of your children. When you begin playing games with your children, be prepared if a child to wants to go first, cries if they lose, or tries to peek at other players cards. Some children can handle losing, but others initially find this experience traumatizing. 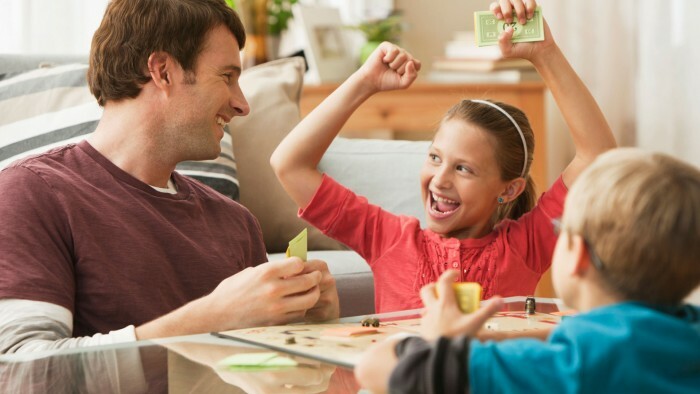 Of course, part of playing games with your children is teaching them social skills, such as losing gracefully, taking turns, and sharing. Explain the rules thoroughly and then make sure all players follow them. Be patient with a child when they initially display inappropriate game playing behavior. Explain what behavior is expected and make sure you model what you say. 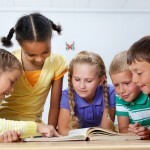 The following games are excellent for mature preschoolers and kindergarten kids. However, even elementary school-age children, tweens, and teens will find enough competition to keep them involved. 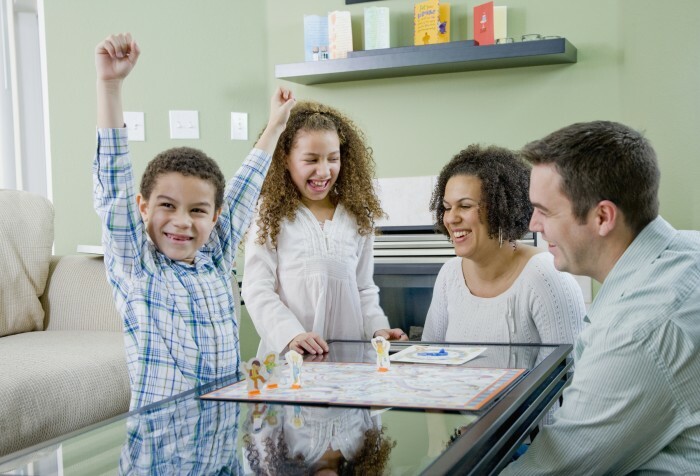 This two-person game is a great choice for a single parent with one child. For a larger family, buy two or more sets and set the game up tournament style. Young kids love dropping the checkers into the grid and older children can compete to see who takes the fewest number of turns to finish a row. A fun take on Scrabble, this game is for two or more players. The game is recommended for ages 7 and up. Players draw letter tiles and build off the words that have already been played. The tiles zip up in a clever banana pouch. Since a game board is not needed, this game is the perfect travel game for visiting grandparents or waiting in restaurants. Skip-Bo is a simple and entertaining classic card game for two to six players. The game comes with a 162-card deck consisting with 144 numerical cards, numbered 1-12, and 18 Skip-Bo (wild) cards. Each player is dealt 30 cards – 20 each if there are five or more players. The goal of the game is to get rid of all of your cards, by creating stacks of cards in numerical order from one to twelve, while preventing your opponents from discarding their cards. If you are the first player to use all the cards in your stockpile, you win the game. Yahtzee Jr. brings this classic game down to a kid’s level using pictures instead of numbers on the dice. Even though the game is perfect for very young children, it is still fun for older children and adults. There are many versions of Yahtzee Jr. available, including Animal Yahtzee and the Disney Edition. Yahtzee Jr. prepares your children for playing traditional Yahtzee when they are older. Monopoly is best for ages 8 and older and is for two to eight players. The game has an educational value as it reinforce counting and teaches money denominations. There are several versions available. In addition to Classic Monopoly, a Here and Now edition has airports instead of railroads and features properties such as Times Square and Fenway Park. Younger players will love the Monopoly Disney Pixar Edition. Players roll the Lego Creationary dice and select one of four building categories – nature, vehicles, buildings, or things. Three levels of difficulty allow a player to show off their building skills, while the other players guess what the builder is creating. Although designed for players ages 7 and up, every age group will find this game fun and challenging. Lego also has some small games – great for traveling or waiting in restaurants – based upon popular movies and TV shows. One game, Shaun the Sheep, challenges players to build their sheep, while the other players try to “shear” it. The players who uses the most Legos by the end of the game, wins. Entertaining teenagers may not be easy, but these games requiring strategy or debate keep your teens interested from start to finish. Sequence is a both a board and card game. The board shows all the cards, except for Jacks) of two standard 52-card decks, laid out in a 10 x 10 pattern. The four corners of the board are free spaces and count for all players equally. Players compete to create rows, columns, or diagonals of 5 connected checkers placed on the cards a player has laid down. Two-eyed Jacks are wild, while one-eyed Jacks allow an opponent’s checker to be removed. The game ends when a player has reached a specified number of connections. Play with two or three players competing against each other or play in teams if you have from four to twelve players. This is a fun game for teams composed of a parent and child. This electronic, two-team, guessing game provides hours of fun for the whole family. The goal is for a player to get their team to say the word or word phrase displayed on the disc when given clues. Clues cannot include a physical gesture, a rhyming word, the first letter of a word, the number of syllables, or any part of the displayed phrase. When the team guesses correctly, the other team takes its turn. Play continues until the timer runs out. The team not holding the disc when time runs out scores a point. They also have one chance to guess the word or phrase after team members confer; a correct answer earns a bonus point. The first team to score 7 points wins. This classic mystery game requires focus and strategy, making it perfect for older players. Players move from room to room in a mansion to solve the mystery of who committed a murder, with what, and where. Players are dealt character, weapon, and location cards after placing the top card of each card type in the confidential file in the middle of the board. Players must move to a room, after which they make an accusation against a character saying they did it in that room with a specific weapon. The player to the left must show one of any cards the accuser guessed if in that player’s hand. Through deductive reasoning, players must determine which character, weapon, and location are in the secret file. The first player to guess correctly wins the game. There are many variations of the game including a junior version, as well as a Harry Potter, and Clue the Office edition. 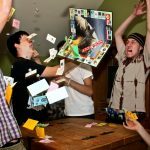 Apples to Apples, a card game for up to four players, involve outrageous comparisons of people, events, places, and things. You can buy different versions for different age groups, and booster packs of cards. The game has two sets of cards – red apple cards and green apple cards. Players choose a red apple card they believe is the best match to a played green apple card hoping the person playing the green card will choose theirs as the match they think is best. The green card is read by the Judge, frequently causing laughter. This is an excellent family game night addition. However, if you have younger children, try Apples to Apples Junior. You may also wish to pick cards that do not deal with obscure people, places, things, and events to make sure younger players can experience success when playing. Make up a tray with meats and cheeses, set out condiments and a few different types of bread and let everyone can make their own sandwich. Add a plate of sliced lettuce and tomato for the grownups if you wish to do so. Purchase a pre-made veggie platter and several dips. Make popcorn – air popped so that fingers will not be greasy. Have bowls of pretzels, nuts, and “clean” chips with dips set out for snaking. Purchase pre-cut fruit and string pieces on wood skewers for fruit kabobs. Serve with yogurt for dipping. For cold winter nights, make a big pot of homemade vegetable beef or chicken noodle soup, or chili and serve with oyster crackers. If your family is playing after dinner, serve a quick and easy dessert, such as store-bought cookies or cupcakes, or cups or cones of ice cream. Families remain busy with homework, afterschool activities, sports practice and games, and many other activities. If families are not careful, they spend very little time together. 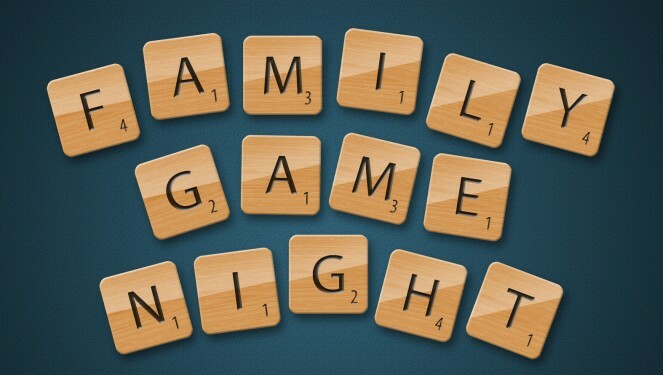 Having one night each week set aside as family game night creates memories that will last a lifetime.